So what is this Kinefinity you speak of? On the eve of NAB 2018 I wanted to pose the question: who is Kinefinity? In the last few months I’m finally getting requests to shoot 4K. I love my Fs5 but wanted to look at additional camera options moving forward. 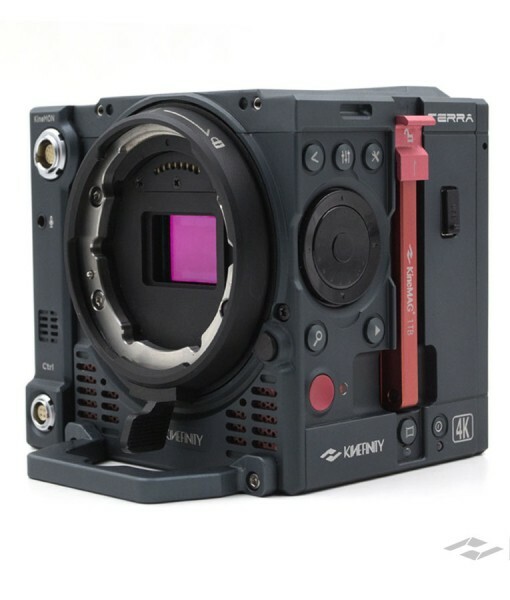 I keep running into reviews and introductions to the Kinefinity Terra 4K. I remember the KineMINI from a few years ago but hadn’t really followed up on their progress – here’s my usual WOW! They have really put their foot on the gas in the last year. Kinefinity seems to be on the right track ticking all the boxes for what independent film makers are looking for: 4K, ProRes, SSD media, interchangeable lens mounts, off the shelf batteries, good color science, price and the list goes on. 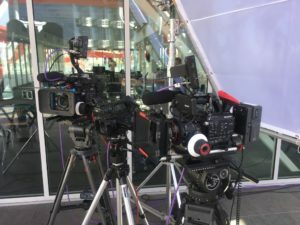 The Terra 4K and 6K have been getting good reviews by ProAV, Philip Bloom and others for several months. 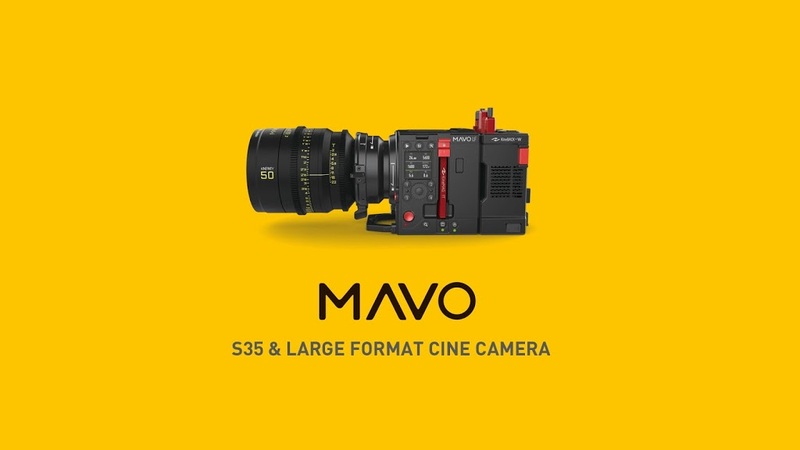 Now they have announced a full frame version called the MAVO slated for release later this year – very interesting. 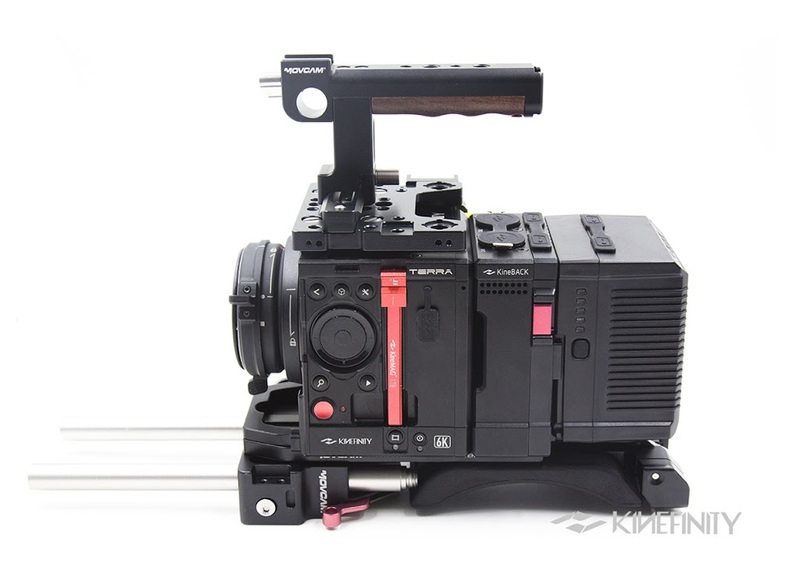 The Kineback seems to be the real star as it offers XLR ports, SDI outputs and additional power taps. Other features are a EF lens adapter that has a built in electronic ND system similar to the electronic ND on the Sony Fs5. The company is based in China and at the moment are the only point for purchase and service. 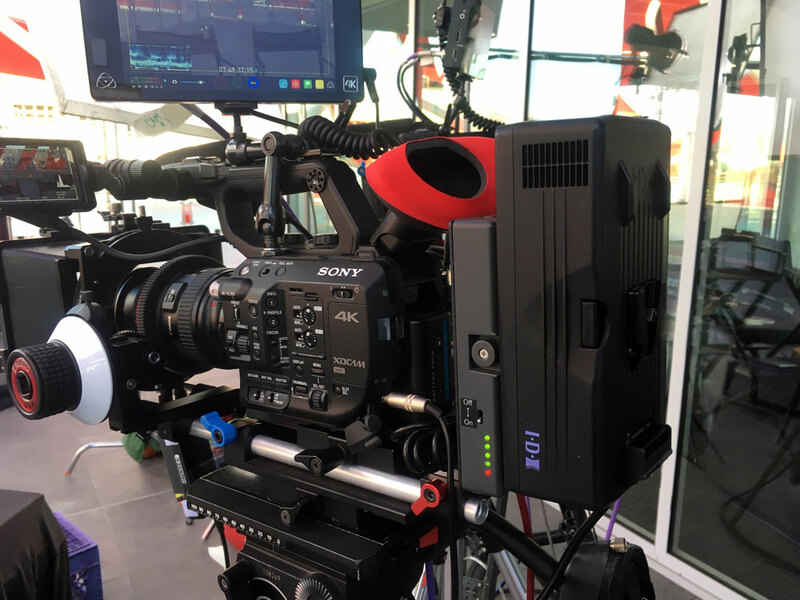 However, ProAV in the UK are in the process of setting up a department to sell and service Kinefinity for the majority of the UK later this year. All work will be done locally and this will help cut down on the turn around time for sales and service. Just my two cents on this NAB eve. If you have a chance to check out the Kinefinity booth, C11742 please post a comment and let me know what you think. I’d love to hear from you. I was able to work with a fantastic team to stream the announcement of Motor Trend’s “Car of the Year” award for Alfa Romeo. This happened during the recent LA Auto Show at the Petersen Auto Museum. The goal was to deliver the announcement world wide during the show week and present the award to the VIPs of Alfa Romeo. We streamed to Facebook and Periscope live and then immediately changed out the GFX skin and uploaded to YouTube. The event was produced by Whitecoat Productions from NY and overseen by their executive producer Zach Stein. 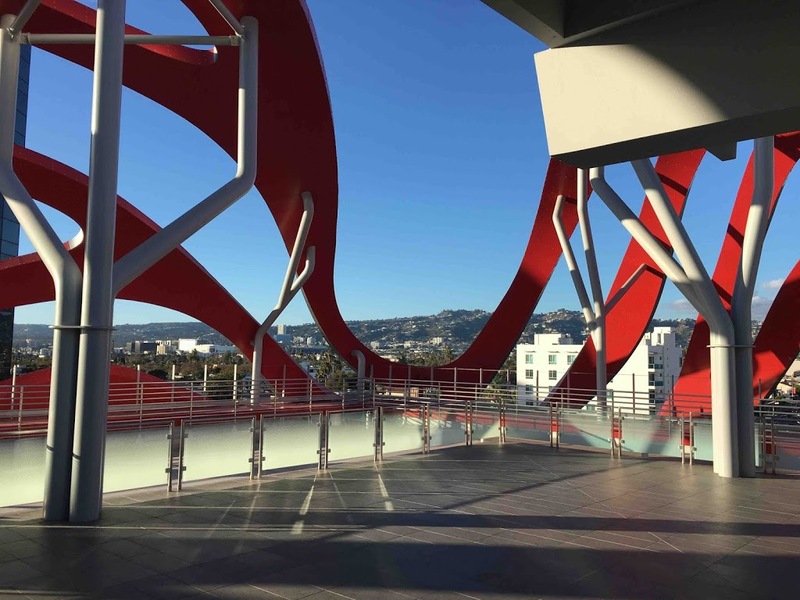 They chose the historic Petersen Auto Museum as the venue and the top floor terrace as the setting. During pre-pro the plan was made to use 3 cameras; one wide CYA, a guest cam and a dedicated tight cam on the host. 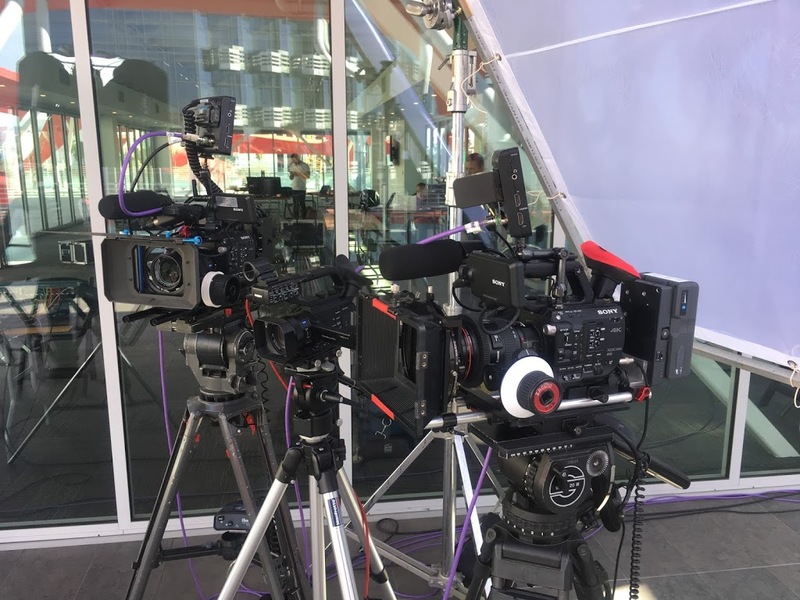 We used 2 Sony Fs5’s for the guests and host and then a Sony X70 for the wide. Jeff Killian of Ocean Motion Productions road herd on the camera dept and drove the host camera during the stream. 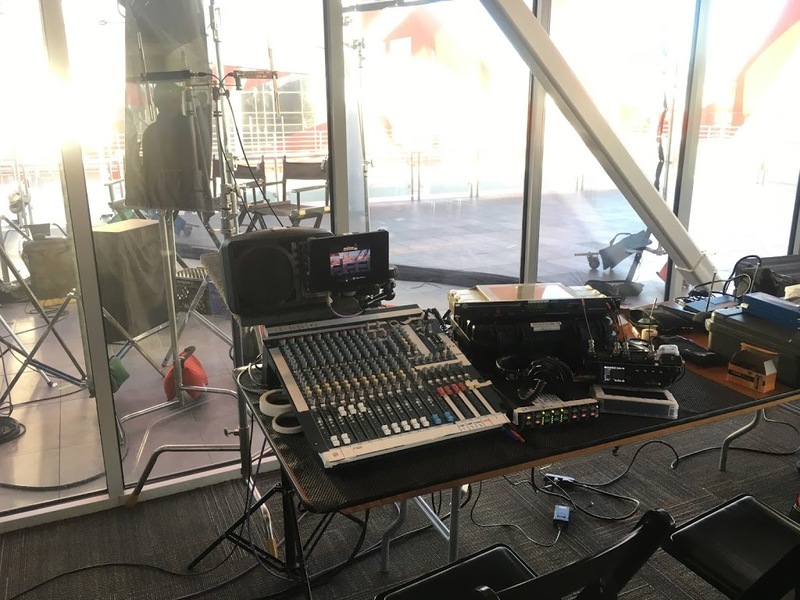 They fed into a Tricaster provided by Take One Digital and pushed out to the world over a LAN connection and a bonded cell backup. Great job by Matt Worley as our TD and Stream Tech. Sound was a bit of a challenge as the Petersen is right on Whilshire Blvd and had not one but two building construction projects going across the street in each direction. John Franco was our A1 and worked some real magic keeping the background noise to a minimum. 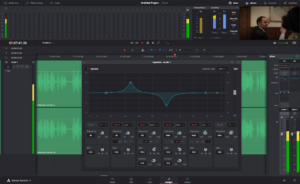 He used a Dugan Automixer in the rig along with an Allen and Heath as the main desk. 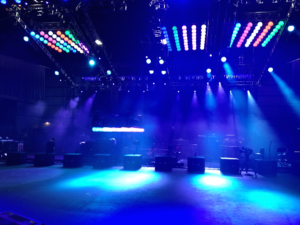 Stan Garber and Mike Bryant handled all of our G&E for the project and made it look effortless. We were chasing the sun and trying to work in an interesting space to fit this all in. 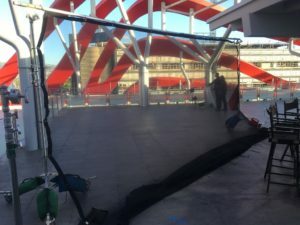 We flew a single 20x diffusion behind the talent to slow down the buildings in the distance and help blur the background. Key lighting was several HMI’s shooting through 4×4 diff with cups and bungees to quiet them down and backlight was a pair of 4×4 shiny boards fired in from the far corners of the shot. I have been keeping an eye on the new MK series of lenses from Fujinon since Cinegear last summer. These are a wonderful blend of size, performance and cost. I recently gathered a few shooter friends together to try these out. We took over the green screen stage at Video Resources in Santa Ana California. I was able to get the pair of lenses from FujiFilm HQ for the week. We tried them on my Fs5, an A7s and with the help of a new DuClos adapter a Sony F5. I grabbed the 18-55mm and the 50-135mm as a kit. What I like about these lenses is they weigh less than my Canon 70-200mm ƒ2.8 zoom and are super sharp and super responsive. I do a lot of focus pulling and the short 90 degree barrel throw on a DSLR lens has always been a problem for me. These lenses have almost 200 degrees of focus barrel rotation – Yay!!! The rotation is also smooth with just the right amount of tension so you don’t blow by your marks (like I always do…). Both lenses are the same size with the gears in the same place so a fast lens change is even faster. 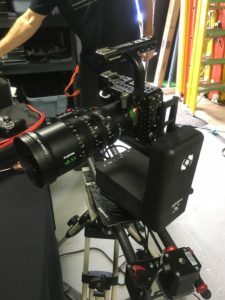 There is a back focus adjustment, just like our old B4 broadcast lenses as they are parfocal and can hold focus throughout the full zoom range. In addition there is also a macro adjustment for closeup work. I found the lenses very easy to set up. Even adding the Duclos FZ adapter is pretty simple – you’ll need a jeweler’s screwdriver and a flat clean surface to work on. It takes about 3 minutes to swap the e-mount plate for the FZ mount. You might want to have some tiny shims on hand in case your lens is a little worn. I was curious to see how these would work on an A7S when mounted on the eMotimo pan/tilt head – they worked great! They are very light and balance well. Also the eMotimo focus motor had no trouble with the lens at all. Over all, the range of the two lenses in the set seems about perfect. 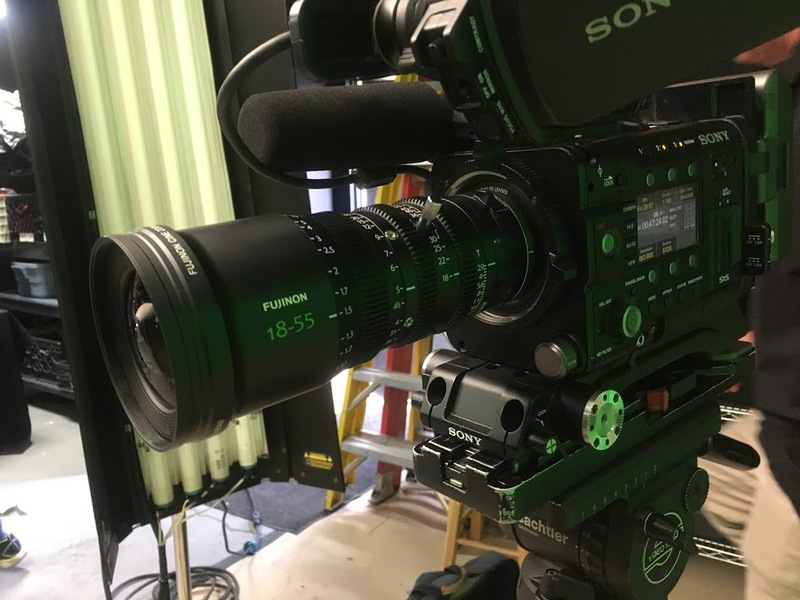 You can check out the detailed reviews of the Fujinon MK line from: ProAV or Philip Bloom. For us, we needed to get them in our hands and see how the work with our rigs. 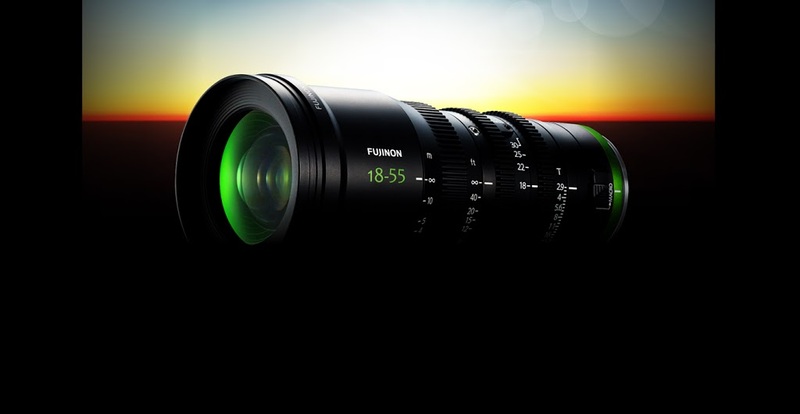 The draw here is outstanding Fujinon design and quality combined with accessible pricing. 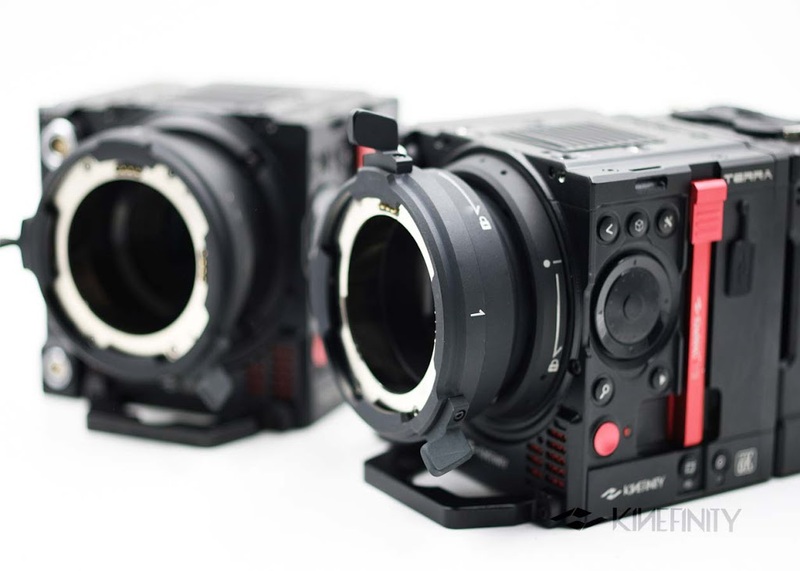 Each lens comes in just under $4000 UDS. For a range of 18mm to 135mm across a two lens set, I think this is a pretty fantastic deal. 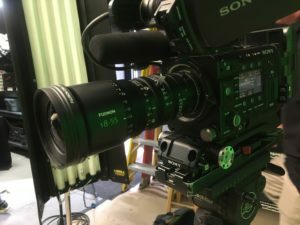 So I went to CineGear last week… so much to look at. Although it seemed like a slightly smaller show this year for some reason. I was mostly looking to follow up on gear that I already own and see what updates and accessories are now available. 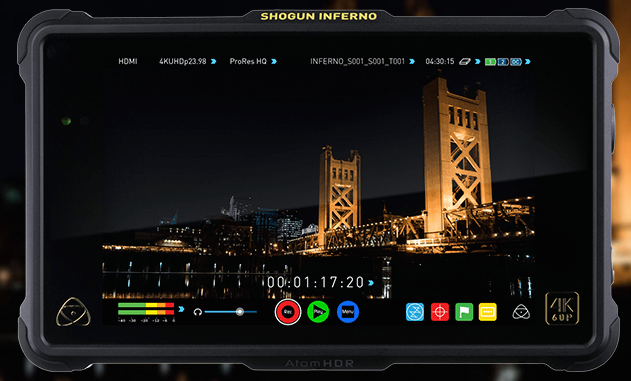 First stop, ATOMOS. 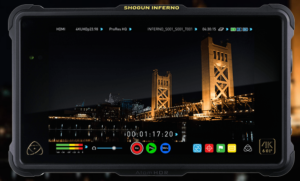 Wanted to find out about any new firmware updates and a possible replacement for the Shogun. Nothing at the moment. We’ll see what happens later in the summer. 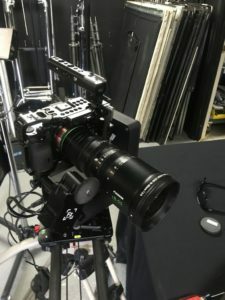 The bigger deal is how to add servo control to the Fujinon MK lenses… Awe a possible solution at Tilta! The new Nucleus-M system. This, for me, was the highlight of the show. This is a wireless “FIZ” with two motors, two handles and a controller for $1200 US. 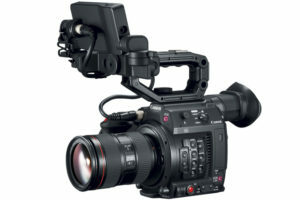 Ultimately it is a 6 channel system but in reality you would most likely use it for zoom and focus on a gimbal or drone. It is all wireless except for one power cable to the first motor and then a daisy-chain jumper cable looping power to the next motor. They are going to let me check the prototype out in their office in a week or so – stay tuned for an update. 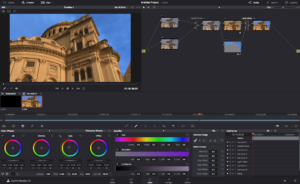 Next I stopped at Blackmagic Design to catch up on Resolve 14 and the Ursa Mini Pro. I have been using Resolve since version 9 (really 7 but I didn’t fully switch until 9). 14 appears to be the best version for all around or end to end work flow so far. 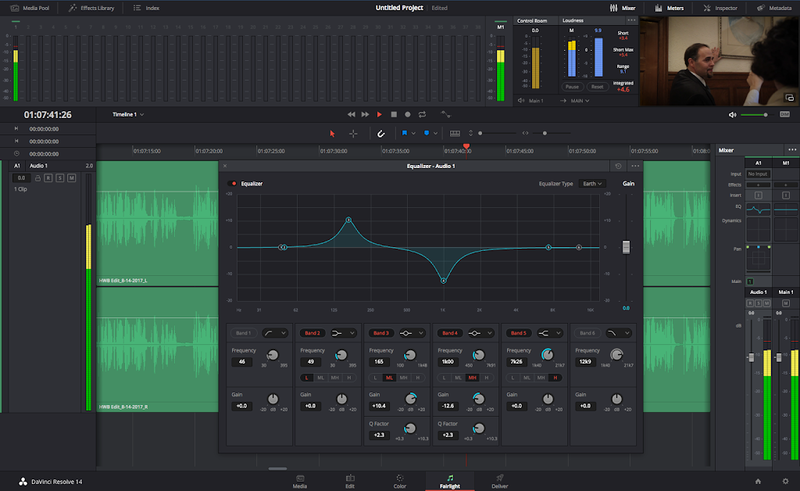 With the addition of Fairlight audio and collaborative work flow the have really upped the bar to other NLE’s. The Ursa Mini Pro was attracting a lot of attention. At the Roadshow BMD did a night set to show off the new camera. Here it was more of a daylight setting. The camera looks very nice. I’m going to check it out later this month in the showroom at BMD Burbank. Keeping with the camera theme I looked at the Pansonic EVA-1. Interesting camera. Still just a mock up at this point. Hope to see it in action later in the year. Last but not least in the camera dept. had to see the new C200 at Canon. Really Nice! I would have a hard time choosing between this and the C300mkII. The C200 is a little smaller and has the new Canon RAW lite offering. We’ll have to see how reviews of footage sound after some more test shooting is done. 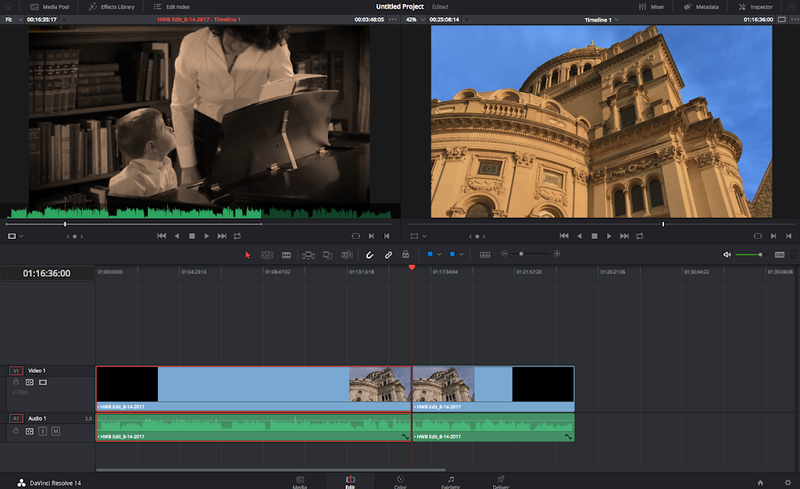 Folks like Pro AV TV, CPVTV and Cinema5D have done pretty good first look videos if you would like to learn more. 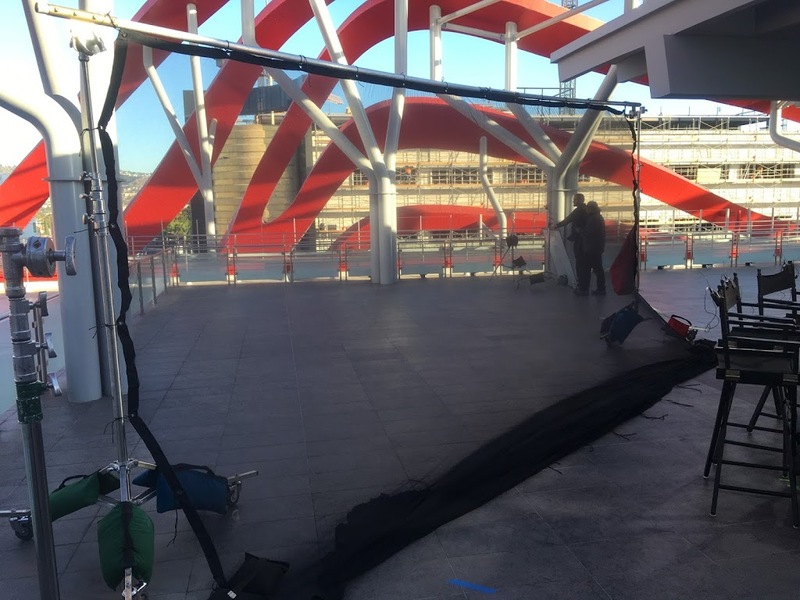 Well that pretty much wraps up my brief look at a few cool show items at CineGear this year. as I do some more in depth reviews of a few of these items I’ll post ’em here. I did a live handheld gig the other day. It’s been a while. This was a fundraiser here in the OC for CHOC Children’s Hospital. A ton ‘O’ fun. The production was being done by Pacific Coast Entertainment out of Huntington Beach, California. 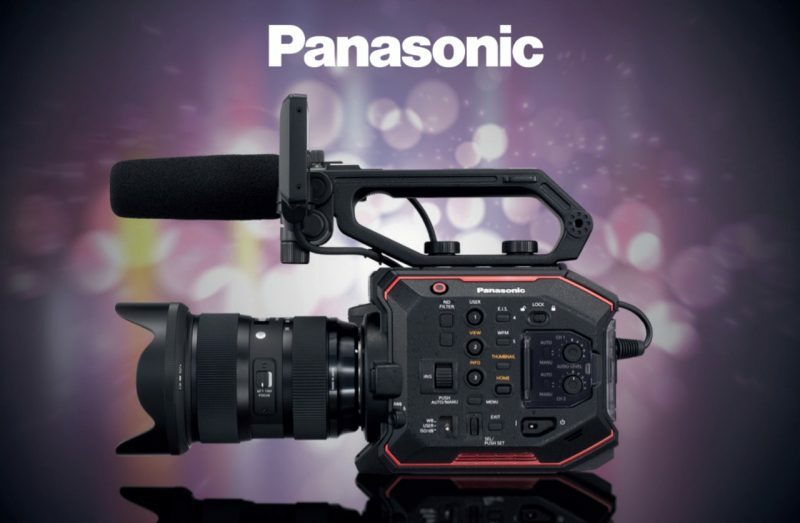 We were using the new Panasonic 610’s – nice cameras. Lighter than I expected. They are P2 based and have just 2 slots instead of the 4 that the 500 has. Great EVF. I think I was actually in focus most of the time – LOL. The headliner was Keith Urban – great show. He did about 90 minutes straight through. I was in the pit and the fans (mostly ladies) all wanted to get as close as they could to the stage and I was between them and the stage… The director was really nice. He’s the tour video director and wanted to test out some shots during the show that they might use during the actual tour IMAG. 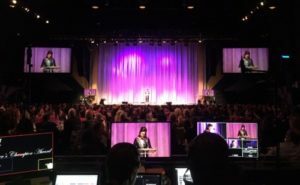 The event raised a little over 2 million dollars – YAY!!! They auctioned off everything from first up in the valet parking position to a couple of Keith’s guitars. The crew was fantastic. I hope to be invited back next year. Went to the 2011 CineGear Expo yesterday – Wow!!! Lots and lots of cool new stuff. Got there about 4:30 and stayed until almost closing. We were able to just stroll and take our time – very nice. 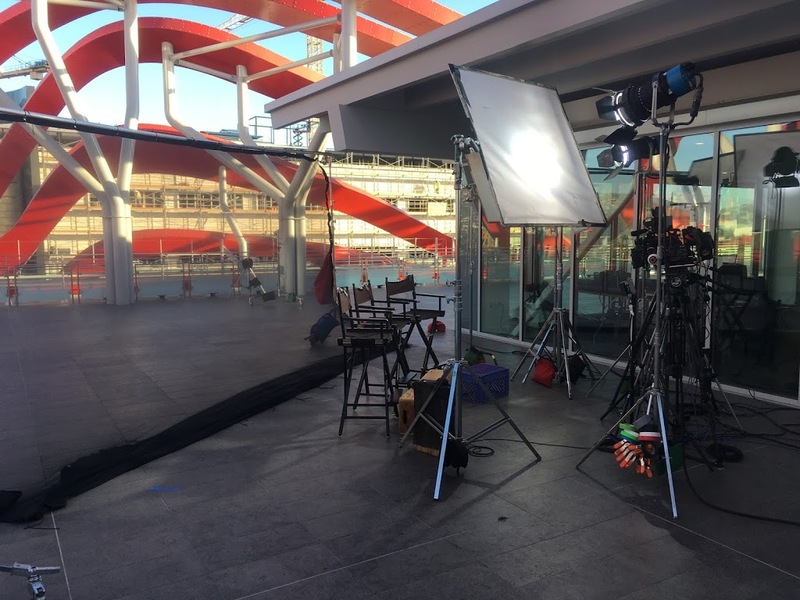 We were joined by Mark Schweickart from Porta-Jib later in the day and got to get an equipment manufacturer’s point of view of the show. Informative. I just found out about these little guys last week at the AbleCine F3 workshop. I’ve been wating for someone to wrap everything into one chassis that didn’t cost $10,000. Yeah!!! the folks at Sound Devices did it. The PIX 220 and 240 are digital HD field recorders with HDMI and HD/SDI inputs and outputs. 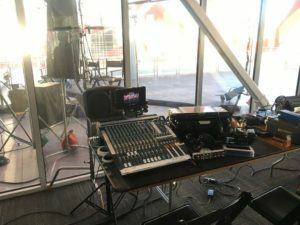 The 220 is the HDMI only version ringing in around $1800 while the 240 has both HDMI and HD/SDI along with TC IN/OUT and other cool features and zips in at just under $2600 – street. 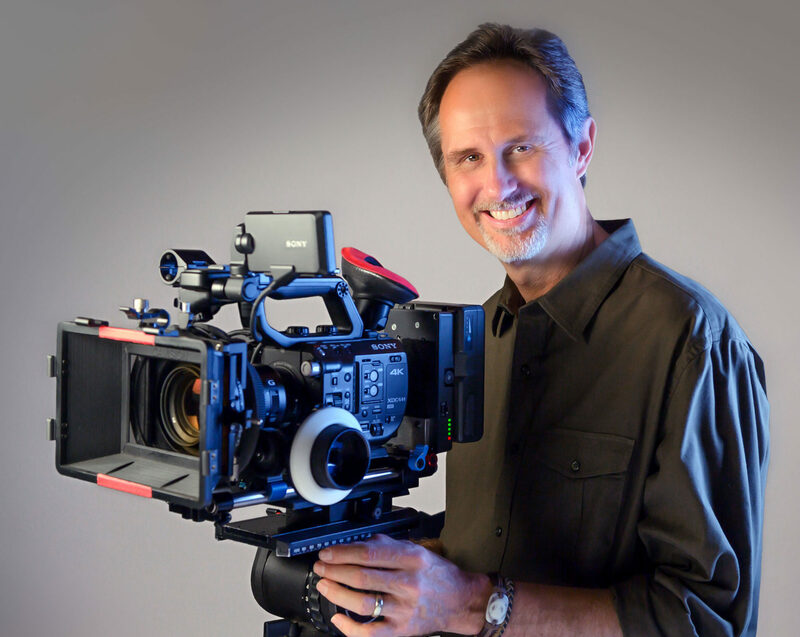 Your footage can be recorded to CF cards or SSD drives. 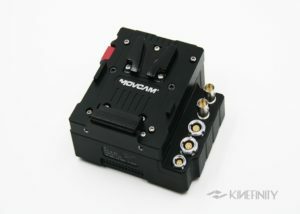 The unit is mountable with a 1/4-20 hole on the back and the new mounts should include three 1/4-20’s on the bottom. 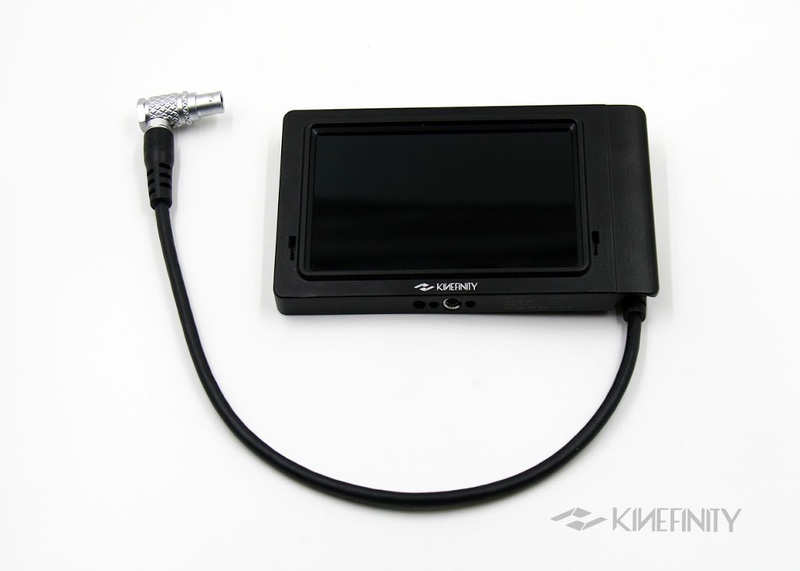 The SSD drive uses an accessory caddy that mounts to the drive and allows the drive to then be used directly for offloading to your computer via USB 3.0, Firewire 800 or eSata. The drives are formatted by the recorder in UDF so it will work on both MAC and PC straight away – Very Cool. Should be arriving later this summer – can’t wait!!! Just got the teaser on this one a day before the show. Didn’t know what to expect. It was…cute. The camera is still in the prototype phase. Much like Canon’s “Hair Dryer” display, JVC had a working model there posed as a small camcorder poised atop a little black box. 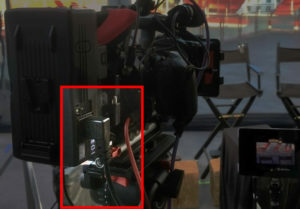 There were 4 HDMI cables coming out of the black box going over to a 60″ flat panel TV. The picture was clean. There were images of people, architecture, and general B-roll. Sharp. The rep said they plan the use 4 SD cards to record the image streams and then it will be put back together in post. Interesting. This was kind of cool. 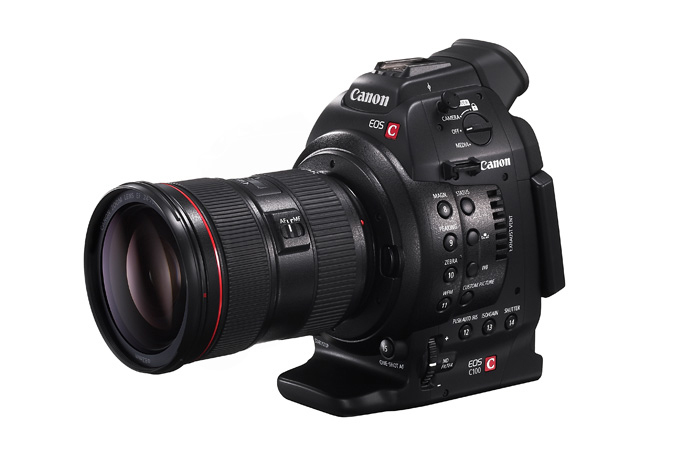 They had an F3 with a Canon EFP lens on it. The MSRP is about $5500. Not bad if you still have a broadcast 2/3″ lens laying around. I wonder if it works with the FS-100? Shane Hurlbut had a booth right at the entrance of the event. It goes with his new camera rentals department. He was showing all of his different HDSLR configurations. I spent some time talking to one of his shooters at the booth about their findings over time with the 5D’s and 7D’s. 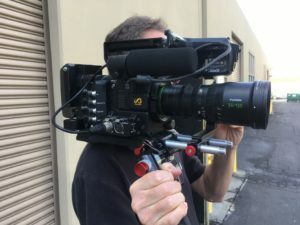 The company I do a lot of work with is selling their Hollywood Lite/ Varizoom Aviator stabilizer system and I thought I would check out the new solutions in case we want to replace it in the future. I tried the Glidecam X22 last year and wanted to try an actual STEADICAM this year. I tried the Scout – $7000 – 5 to 18 pounds. Very nice. Light weight. Simple to setup. Easy to control. Always great stuff to see. I checked out the new FF Blue and the Wireless FF solution the microRemote with the iPhone interface. It’s really coming along. I got to drive the wireless system for a bit and it was nice. Brian Valente said that they just added a torque feature to help adjust the system’s feel and response from lens to lens.